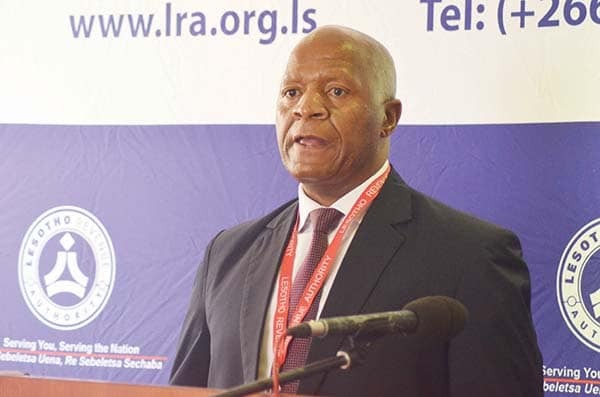 MASERU – Lesotho Revenue Authority (LRA), in collaboration with the Lesotho Mounted Police Service (LMPS), has successfully destroyed a scammers’ ring that has tormented the business community around Thetsane since January this year. In January this year the authority had to deal with the unsettling reports of scammers pretending to the LRA officials going around extorting money from business people. The unfortunate incidents are said to have occurred around Thetsane area in Maseru where the fake officials were conducting door-to-door “audits”, in the process extorting unknown amounts of money from unsuspecting victims. Three months later five culprits suspected to have engaged in the criminal behaviour have been arrested, thanks to police assistance. Four out of the five culprits appeared before the Maseru Magistrate Court last Friday charged with fraud and impersonating LRA officers. The suspects are facing eight counts of impersonating LRA officers and another four counts of fraud after they allegedly demanded tax clearance certificates and traders’ licences from at least eight LRA clients (taxpayers) at their business premises. During these unfortunate incidents the suspects are alleged to have threatened to take drastic measures such as closing down the businesses of the said individuals for failure to comply before going on to extort money from unsuspecting victims. Three of the accused persons are cops, according to the Lesotho revenue Authority in a statement released on Monday this week. “The accused persons, three of which are members of the LMPS, were then remanded into custody until the 22nd March 2019 for arguments over their bail application,” the statement reads. The case was before Magistrate Thamae and was prosecuted by Advocate Lechesa Mahao. In a move to combat such behaviour, LRA has urged members of the business community to verify the authenticity of any people purporting to be from the tax authority and report suspicious operations to a nearby police station. “The LRA officials do not collect money during audits but rather raise assessments while payments are made at the banks or at the LRA banking hall housed in their head office,” the LRA previously announced. Meanwhile, in another case, a 29-year-old Mosotho man also appeared before the Maseru Magistrate Court last month charged with fraud after he allegedly scammed huge sums of money out of 11 people, along with other valuables under false pretences that he will get them jobs at the Lesotho Revenue Authority (LRA). While the allegations have tainted the image of the revenue authority, the LRA Public Relations Manager Pheello Mphana revealed in the previous interview with Public Eye that the best thing they can do as an organisation is to educate clients on how to identify LRA officials. “That is the only way we can overcome this challenge,” Mphana had said, citing that they will do all in their power to protect their image by spreading the word even to other districts besides Maseru.